But…but…but.. 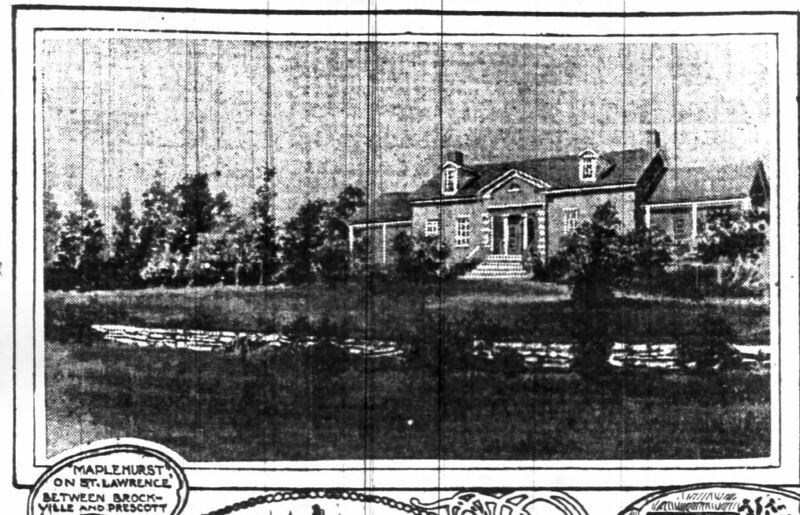 This article from 1901 never said which house Mrs. E. A. Stuart chose!! One has to wonder if any of the houses are still standing. IF Mrs. E.A. Stuart of 10 North State street, who is reported to be earnestly seeking for a sure-enough haunted Chicago house to live in, is sincere in her expression of this desire she need not know it unsatisfied long. 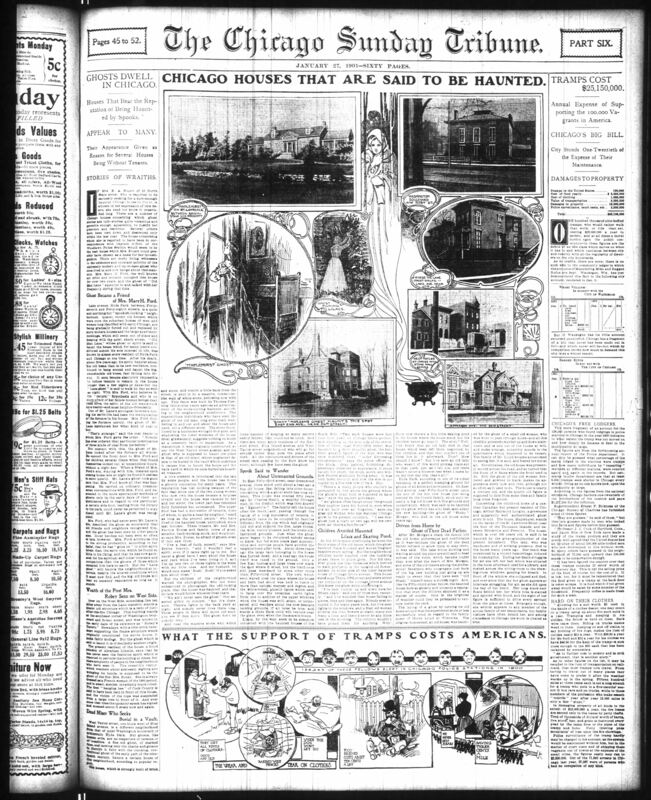 There are a number of Chicago houses concerning which ghost stories are told – stories quite veracious and provable enough, apparently, to justify her attention and residence. Several others have been torn down and destroyed only within the last year. The house concerning which she is reported to have been in correspondence with Captain O’Neil of the Woodlawn Police Station would seem to be the best house which Mrs. Stuart could possibly have chosen as a basis for her investigations. There are many living witnesses to the existence and constant activity of the extremely modern and up-to-date ghost who once lived in and now hangs about this mansion. 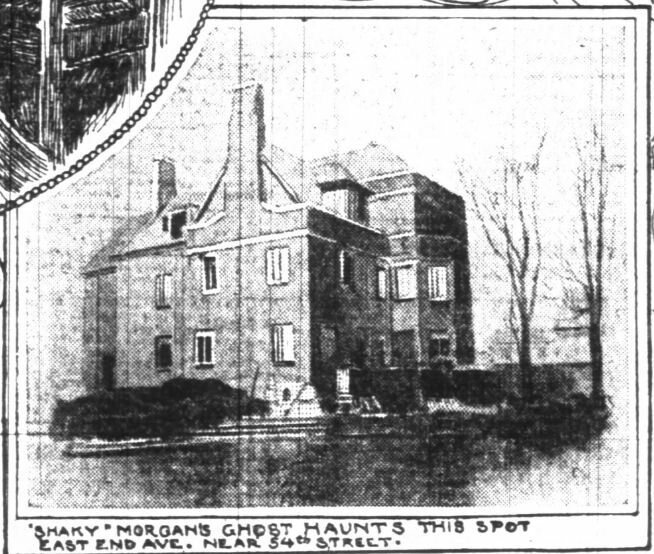 Mrs. Mary H. Ford, the well known art critic and lecturer, occupied this house for over two years, and the ghost of “Old Man Lane” appeared to and talked with her frequently during that time. Lake avenue, Hyde Park, between forty-seventh and forty-eighth streets, is a quiet and anything but “spookish-looking” neighborhood. Quaint, roomy old houses, which were once the suburban homes of men and women long identified with early Chicago, are being gradually forced out and replaced by more modern houses and the large apartment buildings, which still seem out of place and keeping with the quiet, shady street. “Old Man Lane,” whose ghost or spirit is said to haunt the house which for many years constituted almost his sole interest in life, was known to almost every resident of Hyde Park and Chicago at one time. After his death, about five years ago, his spirit, happier about his old home than in its new residence, continued to hang around and haunt the big, ramshackle old house, fast falling into decay. It soon became absolutely impossible to induce tenants to remain in the house longer than a few nights or days – for the “Lane ghost” is said to walk by day as well as night. With Mrs. Ford, who believes in the “natural” hypothesis and who is no more afraid of her fellow-human beings dead than alive, the spirit of the old man struck up a hearty – and most helpful – friendship. One of Mr. Lane’s strongest interests during his earth-life had been the manipulation of the furnace in his house. Mrs. Ford, finding the furnace unruly, the ghost of Mr. Lane instructed her what kind of coal to buy. Not content with this, the ghost of Mr. Lane looked after the furnace all winter. He opened the front door to Mrs. Ford and her children several times when they found themselves locked out, at uncanonical hours, without a night key. When a friend of Mrs. Ford’s son, staying with him, insisted upon coming home late at night he found it useless to enter quietly. Mr. Lane’s ghost took good care that Mrs. Ford knew all that was happening. He carried on ordinary, commonsense conversations with Mrs. Ford, and descended to the more spectacular methods of ghosts only in the early days of their acquaintance and in regard to one particular. A certain side door, leading from the library to the yard, could never be permitted to stay closed until Mr. Lane’s ghost was recognized. Mrs. Ford, who had never seen Mr. Lane in life, described the ghost so accurately that old friends and neighbors recognized him, and the ghost has been seen by other people also. It – or he – has not been seen so often of late, however. 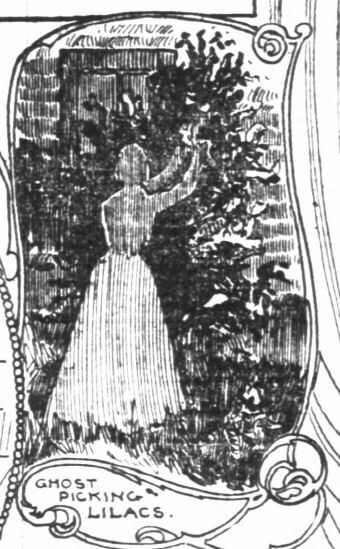 Mrs. Ford attributes this to the strong probability, according to her belief, that he has “gone on” to other spirit levels than the early one, which he found so little to his liking, and that he was now gathered for his spiritual self other interests and occupations than the ghosts of those which occupied him here on earth. But the “Lane ghost” still haunts the neighborhood at intervals, despite the altered conditions which it must now find, and the big, old house will bear an uncanny reputation so long as it stands. Over on the West Side, something like ten miles away from the Lane mansion, stands a quaint old structure which is a relic of just-after-the-fire Chicago. This building stands at the southeast corner of Washington boulevard and Robey street, and was known in the early days of its existence as “Robey’s Tavern.” Nowadays, with a trim brick basement supporting the frame structure which originally constituted the entire house, it looks fairly modern. But the ghost which is said to haunt it is of decidedly ancient origin. The present resident of the house, a blood relation of Abraham Lincoln, says that he has never seen the feminine spirit which is reported to pervade the building at times, but there are plenty of people in the neighborhood who have seen it. The unearthly visitor, which wanders about aimlessly, sighing and wringing its hands, is supposed to be the ghost of the first Mrs. Robey. She is always dressed as a French woman of the 1800 period, and is small, slender, invariably black robed. The first “hanging bee” of Cook County is said to have been held in front of this house, and the victim of the rope was suspended from a large tree in front of it. And ever since that time the uncanny spook has sighed and moaned about it every now and again. West Taylor street, one block west of Blue Island avenue, is a different neighborhood from that of quiet Washington boulevard or aristocratic Hyde Park. But ghosts, like human evils, are no respecters of persons or of localities. A fine old ghost, of marked type and lacking only the chains and groans to identify it fully with the clanking, conventional ghost of the early part of the nineteenth century, haunts a certain house of this neighborhood, according to popular report. The house, which is strongly built of brick and stone, and stands a little back from the street, is shut in by a massive, tombstone-like wall of white stone, yellowing now with age. This fence was built by Thomas Fanning thirty-nine years ago – as an advertisement of his stone-cutting business, according to the neighborhood unbelievers. The superstitious individuals who have seen the ghost of the old man, long since dead, wandering in and out and about the house and yard, tell a different story. The stone fence, closed by a handsome wrought-iron gate, and shadowing the lower windows of the house most grewsomely, suggests nothing so much as a cemetery vault or mausoleum. As a mausoleum it was originally constructed, so say the West Taylor street gossips, and the ghost who is supposed to haunt the place is that of an old miser, whose ungranted desire to be buried in the vault which underlies it causes him to haunt the house and the back yard in which he once buried his hoarded treasure. A love element is introduced into the tale by some people, and the house has borne a ghostly reputation for many years. This reputation has lost nothing because of the fact that since one of the two young women who now own the house became a helpless invalid and the house was vacated by her and her sister, the lower part has remained fully furnished but untenanted. The upper floor has had a succession of tenants, none of whom, to quote a near-by neighbor, “staid as long as the present people,” who havs lived in the haunted house, untroubled, since last October. These tenants, Mr. and Mrs. Patrick Ereles and family, come of good, sensible, hard-working stock, and would not, so says Mrs. Ereles, be afraid of ghosts, even if they saw them. “I’ve a deal of faith, myself,” says Mrs. Ereles, bravely, “and I wouldn’t fear a spirit, even if it came right up to me. But never a ghost have I seen about the house and yard while I’ve been living in it, and I’m up late two or three nights in the week with my little ones. And my husband, he would only make ‘Bosh! Bosh!’ if you asked him about them. But the children of the neighborhood warned the photographer, who last week endeavored to photograph the odd-looking place, that the house was haunted and that ill-luck would follow whoever lived there. And near the massive stone wall which looks capable of keeping so many secrets safely hidden, they could not be lured. And there are many adult residents of the Halsted street, Blue Island avenue, and West Taylor street neighborhood who will go far around rather than pass the place after dark. All the conductors and rivers of the street cars passing by the door know the story, although few have seen the ghost. In East Fifty-third street, near Greenwood avenue, there stood until about a year ago a fine old house, fast falling into utter decay, concerning which a ghost story has long existed. This house was erected fifty years ago by Charles Smith, a wealthy Chicago man, in the district which was then known as “Egansville.” The family left the house after his death, and , passing through the hands of a long succession of tenants, it gradually came to be occupied by families different from the one which had originally laid out and enjoyed the fine, large rooms, the wide, roomy piazzas, and the lovely old fashioned grounds. Just when the ghost story began to be circulated nobody seems to know, but for some years past superstitious and nervous people have avoided the neighborhood after dark. About three years ago the large barn belonging to the house was burned down, and a year ago the house itself was razed to the ground. Only a few lilac bushes and large trees now mark the spot where it stood, but the timid ones still pass westward by some other route than Fifty-third street. The corn which soon waved over the place where the house and barn had stood was held to rustle in more than natural manner and degree, and, the white-robed, ghostly figure which used to hang over the verandas, carry lights from one to another of the upper windows when the house was still, silent, or untenanted, still wanders about the now desolate looking grounds, if all tales be true, and scarce a Hyde Park child will venture near the place, even when the lilacs are in bloom. “There’s a many people who couldn’t be persuaded to live above the ground where the ghost’s dead body is supposed to have lain,” says the sapient policeman. In the little space intervening between the front steps of the old house, which this ghost haunted lilacs bloomed and waved fragrant banners every spring. But the neighborhood children never reached of the tumbling picket fence to pluck them. Nor did they ever pluck the lilac blossoms which thrived in such profusion in the tangled old flower garden on either side of the other haunted house of Cottage Grove avenue. This house stood near Thirty-fifth street and every street car conductor on the Cottage Grove avenue line knew the ghost story concerning it. Hyde Park, according to one of its oldest residents, is a perfect stamping ground for ghosts of all kinds and persuasions. 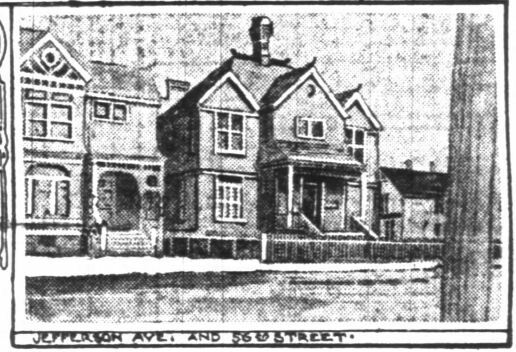 On East End avenue near Fifty-fourth street, upon the site of the fine new house just being erected by the Coonly family, stood until recently a big old house with fine grounds and conservatory, which was said to be haunted by the ghost which has also been seen about the new building – the ghost of “Shaky” Morgan, who died in the old house some years ago. After Mr. Morgan’s death the family left the old home, picturesque and comfortable as it was – because the ghost of the dead father refused to allow them to stay there, it was said. The lake winds blowing and wailing around the place are still said to bear echoes of the voice, which became louder than ever after the death of Mrs. Morgan, and some of the old-timers among the professional fishermen who congregate just back of the big new building just going up are ready to swear that they have seen “Old Shaky” himself many a stormy night. And, like its Fifty-third street fellow, the haunted house bore so ghostly and uncanny a reputation that even the children shunned it as a matter of course. Only in the brightest of weather could they be persuaded to venture inside the yard. The laying of a ghost by turning its old home around was the experiment more or less successfully tried in regard to the family home of Henry Lloyd at Winnetka. The original homestead, an old house, was haunted by the ghost of a small old woman, who was wont to pass through doors – and all this credibly attested – wander up and down staircases and in and out of the rooms at will, and make strange, unearthly sounds in the apartments which happened to be vacant. The family of Mr. Lloyd because accustomed to seeing her, it is said, and feared her not at all. Nevertheless, the old house was presently moved across the road, and so turned that the front of it faces where the front used to be. Still the ghost of the old woman, bonneted and gowned in black, makes its appearance every now and then, although not so often as it used to do. The house is nearly a century old, and the quaint old figure is supposed to date from some time and family long since forgotten. Concerning the childhood home of a onetime Canadian but present resident of Chicago, Arthur Raymond Longley, a grewsome and apparently well authenticated ghost story is told. The house, Maplehurst, stands on the banks of the St. Lawrence River, near the foot of the Thousand Islands, and between Brockville and Prescott. The house, which is over 100 years old, is said to be haunted by the great-grandmother of the present incumbent. This lad, who was handsome and of striking presence, died in the house many years ago. Her death was occasioned by a violent hemorrhage, induced by consumption. During her death struggles for air she left her bed, which was situated in the room afterward used for a library, and rushed a cross the sitting room to the drawing room windows, gasping for breath. In front of the window she collapsed and died, and ever since that day her ghost appears at intervals struggling for air, as she did upon the day of her death. Her long black hair floats behind her, her white robe is stained and spotted with blood, and the sigh of her figure is sufficient to drive every servant from the place at times. Strangely enough, she seldom appears to any member of the actual family of her descendants, but family visitors have often beheld her, and among Canadians in Chicago the story is treated as true. © 2019 Timeless Paranormal. All rights reserved.